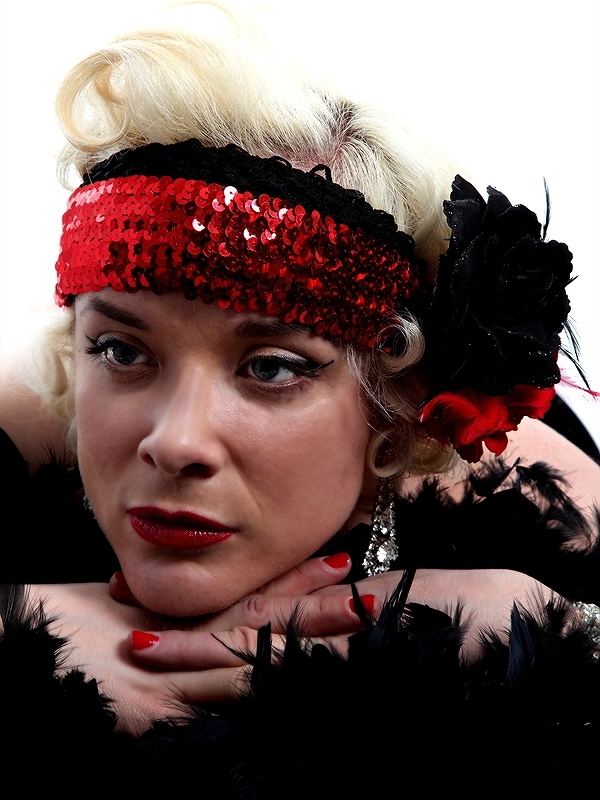 Accomplished London Jazz Diva Kai Hoffman presents Kai’s Roaring Twenties Extravaganza. It’s Kai’s tribute to the vibrant and exciting period that saw a new form of music – Jazz – catch on across the world. The period brought freedom for modern women who shingled their hair and stepped into simple easy- to-wear fashions that sent hemlines flying upward, freeing unencumbered limbs to let rip with exuberant risqué new jazz-influenced dances like The Charleston, The Black Bottom and the Lindy Hop. 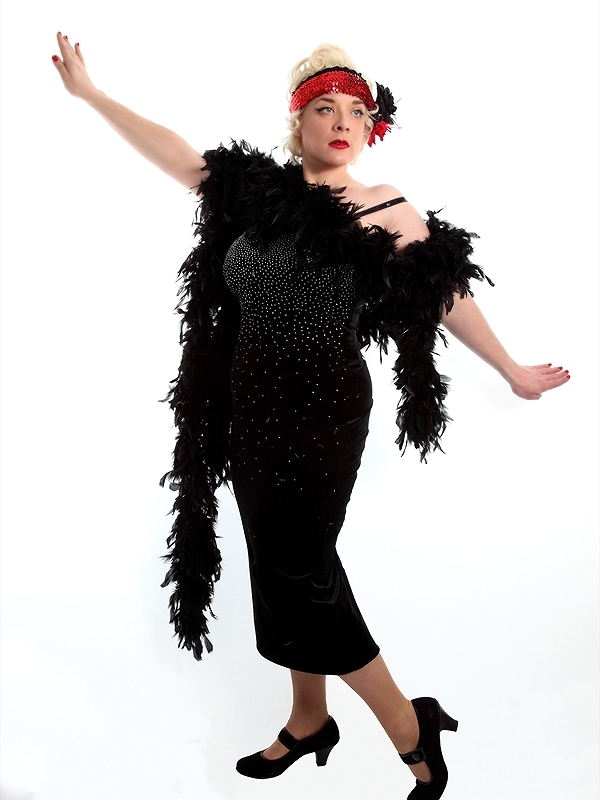 Find out more about booking Kai’s Roaring Twenties Extravaganza. Resident singer at Ronnie Scott’s Jazz Club, Kai’s mellifluous voice and gripping stage presence presents the perfect vehicle for trademark songs from the ‘20s such as ‘Sweet Georgia Brown’, and the experienced musicians that comprise her band recreate the evocative sounds that characterise the Birth of Jazz with panache and hard-earned professionalism. The advent of radio is the key to the Jazz Age. Eager listeners across America, Europe and the British Isles tuned in regularly to popular music shows broadcasting the innovative music from the exciting pioneer jazz clubs in New Orleans, Chicago and New York. The craze for Dixieland Jazz, Ragtime and Big Band sounds spread rapidly across America, and smash-hit movies like The Jazz Age confirmed the epidemic, not just in New York, but in London and Paris too. Soon anyone who wanted to be considered ‘hip’ was strumming hot rhythms on the banjo, with the double-bass holding down the harmony and a vibrant bouncing interweaving topline from clarinet, trumpet and trombone, stretching out on ‘The St Louis Blues’ and recent Broadway hits such as ‘Tea for Two’. Kai brings you the excitement and restlessness of the ‘20s through a soulful and sparkling rendition of the songs that epitomised the period. At a large 1920s-themed event, Kai can set the mood with a full six-piece band, featuring London’s finest horn-players on trumpet, clarinet and trombone, ably supported by double-bass and tasteful drums. You can be sure that her audience will be on the dancefloor, kicking up their heels in no time! Perhaps you are organising a Tea-Dance for a smaller, more intimate group. Kai can scale down her performance, presenting a captivating duo of vocals accompanied by 1920s ragtime-style piano. 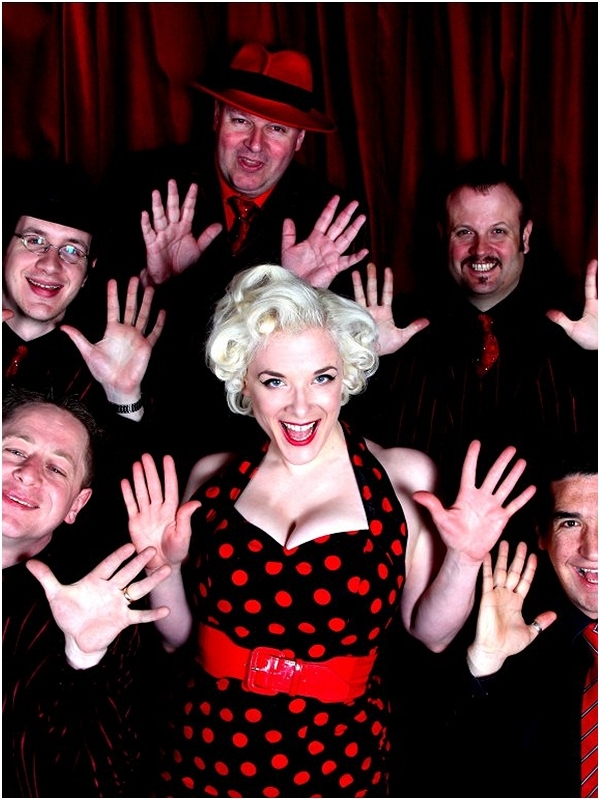 Whether performing at an intimate afternoon tea-dance or a full-scale ‘20s-themed Ball, Kai and her musicians have the repertoire and musical experience to fit the bill. If ballroom etiquette is on the agenda, in ‘Strictly Come Dancing’ style, Kai and the band have a comprehensive repertoire of strict-time dances at their fingertips. Old stalwarts like the Waltz and the Foxtrot are no problem, and ‘20s innovations such as Tango and Quickstep can be central to the themed performance. It don’t mean a thing if you ain’t got that SWING! You can’t keep your feet still once the Jazz vibe gets going. With the brash new music and the daring new fashions came convention-defying new dances that swept the world. Soon everyone who was anyone was kicking up their heels to The Charleston and learning risqué new dance-moves like The Shimmy. Guys and gals thought nothing of shocking Granny and upsetting their parents by frequenting fashionable night-clubs to dance The Black Bottom and The Lindy Hop. It was postwar – an edgy, exciting, fast-paced time that kicked out the past and eagerly fell in love with all that was modern and new. Short simple loose clothes allowed easy movement, and arms and legs kicked and swung with the syncopating rhythms of the music. Girls who dressed and danced in this way were nick-named Flappers. In the 1920s, emancipated modern women shocked their senior relatives by bobbing their hair, slipping on simple short flapper dresses decorated with elaborate feather boas and eye-catching feather head-dresses and chiffon scarves. Kai and the guys help you set the atmosphere by dressing with great care and attention to detail in authentic 1920s style. The guys will present in sharp ‘20s style suits, or full formal evening dress, if the occasion demands. Kai herself will dress to kill in full flamboyant 1920s manner. Dressed in keeping with the period, Kai’s Roaring Twenties Extravaganza provides the perfect musical backdrop for 1920s-themed Tea-Dances and formal Balls.